Winning Startups: Amazing mail sends amazing mail! Amazing mail sends amazing mail! As I drive to wherever I’m going I look at the businesses along the way and wonder how they are doing. I’ve seen one place a bazillion times but never paid much attention. Today I finally looked it up and found some interesting things about it. The place is called Amazingmail.com. 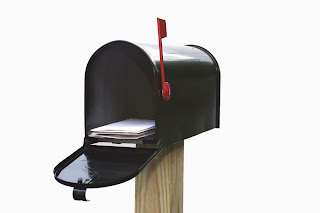 In a nutshell, it’s an online direct mail company that allows you to create one postcard or hundreds of thousands. It was founded in 1998, and last year it ranked 2034 on the Inc5000’s list of fastest growing companies, with a growth rate of 175% over three years. They brought in 9.4 million in revenues last year alone. Maybe I should try them out to drum up some more publicity for http://www.winningstartups.com/. The bio page of their website tells the story of the CEO Steve Wilen – apparently he started a canning company from scratch in South Dakota and made $20 million in revenue the first year. Damn. That’s the company I want to find out more about.